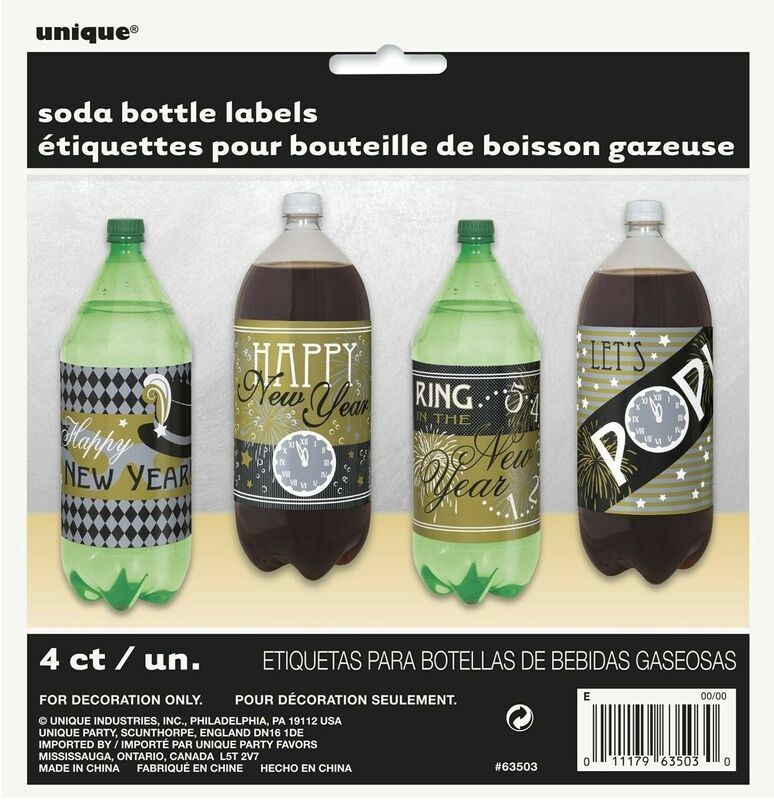 New Years Eve Soda 2 liter Bottle Labels 4 Ct Wrap around your Soda bottles for your party or a gift! Disposable Tableware Happy New Year Let's Pop Ring in the New Year (Does not contain bottles or soda) Paper/Plastic Tableware is meant to be one use and disposable. 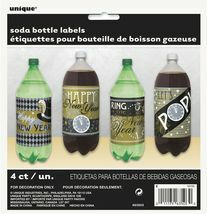 Check out our other parties supplies in New Years Themes!